It's that time of year. 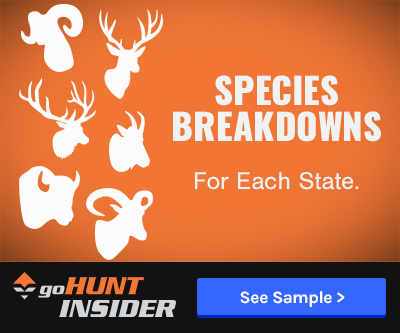 States across the West are open, and everyone is preparing for their upcoming hunts. 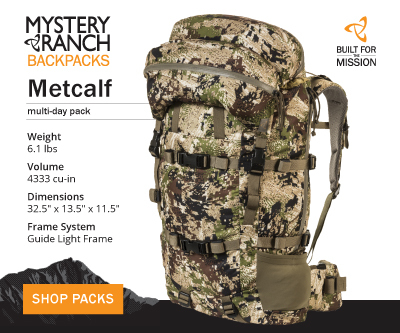 Whether you have an early October elk hunt planned or are gearing up for a rifle mule deer hunt, now is time to finalize your hunt preparation. Each year I divide my hunt preparation into three major categories: shooting, conditioning and field-related skills (field judging, glassing, calling, etc.). Since nearly 1,500 miles separate me from my hunting area, I take a nonconventional approach to my pre-hunt prep. Approaching the 30 days prior to your hunt with proper preparation will be critical to your success. Here are some tips on how to approach this critical preparation period. Now is the time that I like to refer to as “perfect practice.” Every arrow or squeeze of the rifle trigger counts. Every shot should be approached as if it is “the shot.” This means less quantity and more focus on quality. 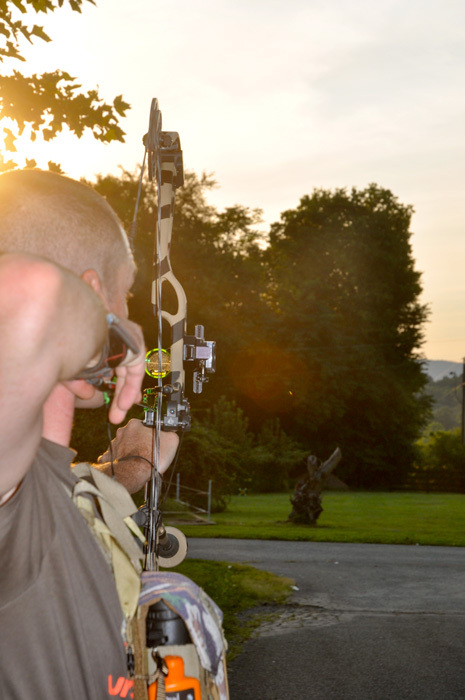 Incorporating realistic hunting scenarios into your practice is critical. 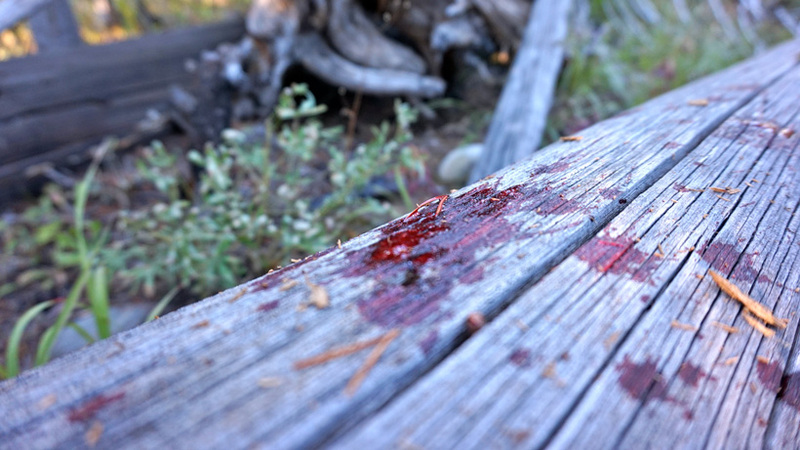 In my experience, I very rarely get shots in a hunting situation that are on a level surface from the standing position or in situations where I am under no physical duress. As frequently as possible, I try to get in long distance shooting. For me, this means three to four practice sessions per week at distances greater than 60 yards if I'm preparing for an archery hunt or 400 yards if I'm preparing for a rifle hunt. 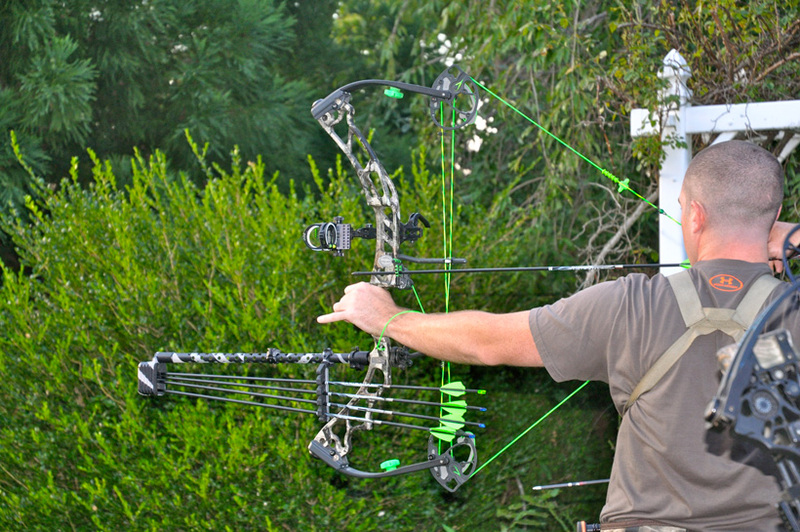 I have also found that practicing at double your intended hunting distance is a great way to achieve accuracy. I hope I find myself within 30 to 60 yards of my quarry this fall. This is why during practice, I try to focus on shooting between 60 and 120 yards with my bow. I try to keep the volume to a minimum. I shoot no more than five arrow groups at 10-yard increments from 60 to 120 yards for a total of no more than 25 arrows shot. I also integrate simulated fatigue into my shooting practice to accurately replicate hunting situations. Jumping jacks, push-ups and burpees between shots will help prepare for the most realistic “hunting” shots. The biggest differences between eastern and western shooting are shot distance and angles. Most eastern hunters are used to taking downhill shots as they are very similar to shots taken out of a treestand. Make sure that you try different shot angles before you head out west! With such a different terrain, severe uphill or downhill shot angles are possibilities! While practice regimes will vary from one hunter to another, it is important to find a system that fits you. Do not forget to practice from different hunting positions since you never know when you will get the shot out in the backcountry. This is just as an important part of your hunt prep as shooting. I am not an expert in this field, but I highly recommend finding a gym or personal trainer that is. As far as adjusting your conditioning training for the 30 days leading up to hunt, I turned to Stuart Shaw at CoreBlend Training and Wellness. Stuart holds a Bachelors of Exercise Science and is a Doctoral candidate in Physical Therapy at Nova Southeastern University in Florida. Aside from his expertise, he is a nice guy and a pleasure to work with. Stuart designed a two-phase program to help me with my pre-hunt conditioning. 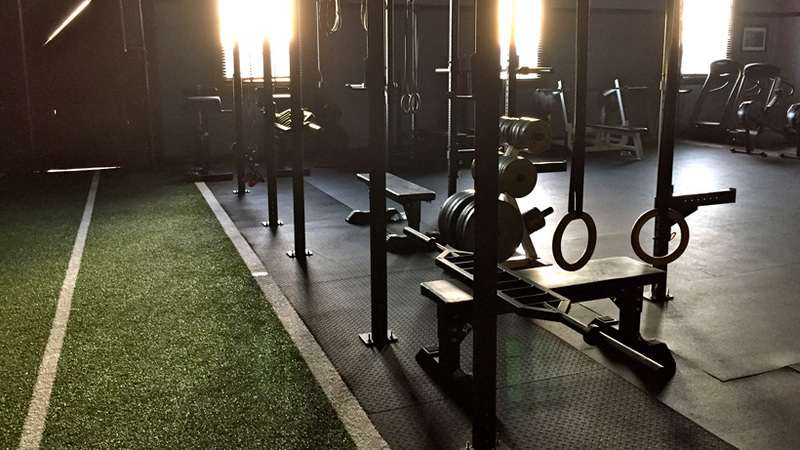 In phase one, we focused on building strength using primarily high weight and low reps to increase overall strength. In the section below, Stuart describes how he structured phase two of the program. As you approach the 30-day mark before a hunt, I recommend that you change up your style of training to a more steady state muscle endurance style workout. Switch gears from heavyweights with low reps to low weight with high reps.
By working with lower weight and higher reps, your body will increase its threshold for developing lactate, thus allowing you to work harder for longer periods of time. 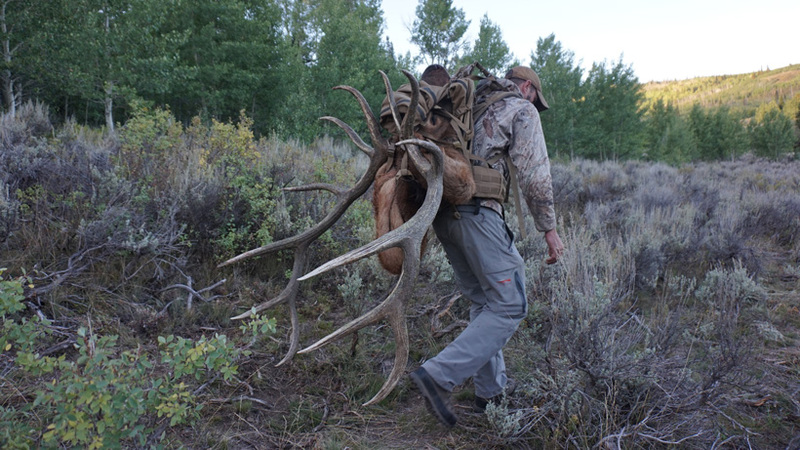 This adjustment will help you as you rise to the challenge of the hunt without fatigue, soreness, cramps and all things associated with exhaustion. With the decreased amount of heavy lifting in the last month, your body should be able to fully recover for the coming hunt. It is extremely important to allow your body to recover because nothing will make a hunt more miserable than having a nagging injury. The last few weeks before the hunt make sure that you spend 10 minutes before your workout and 10 minutes after your workout using a foam roll, to thoroughly, stretch and really dig into those tight trigger areas. The last few weeks are critical to work out any nagging pains in the shoulder, hips, knees and lower back. Throughout this process, be sure to feed your body with the proper nutrients it needs to maintain adequate strength and energy. Make sure that you are getting adequate amounts of clean protein, carbohydrates, and fat. You can make dieting as complicated as you would like, but I find that keeping things simple is the most realistic way to go. Remember to get in your greens, lean proteins (fish, chicken, wild game) as well as good fats. Fats are going to play an essential role in fueling your body during the hunt. An example of good fats would be nuts (almonds, cashews, peanuts). A good percentage for your daily consumption should be 30% fats, 45% carbohydrates, and 25% protein. This would allow your body to start storing some good fat to be burned during the long cardio during a hunt. It is also important to add that since we are not doing a lot of heavy lifting during this prep to also decrease protein consumption. Field judging, glassing, and calling may play a role in your hunt. 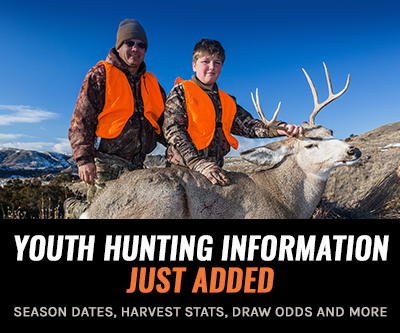 As you prepare for your hunt, do not discount the importance of honing these skills. For me, elk are the hardest animal to judge. I enter every elk hunt aware of the reality that at first, every bull I am going to look at is going to be huge (they are all bigger than whitetails after all). I relish this, but I want to be sure that I am prepared to field judge animals accurately. Since I have yet to find any wild elk in Georgia, I rely on scoring guides found on Jay Scott’s website for my scoring practice. This is a great resource as bulls of all shapes and sizes are covered. Special thanks to Jay Scott Outdoors for the video clip. 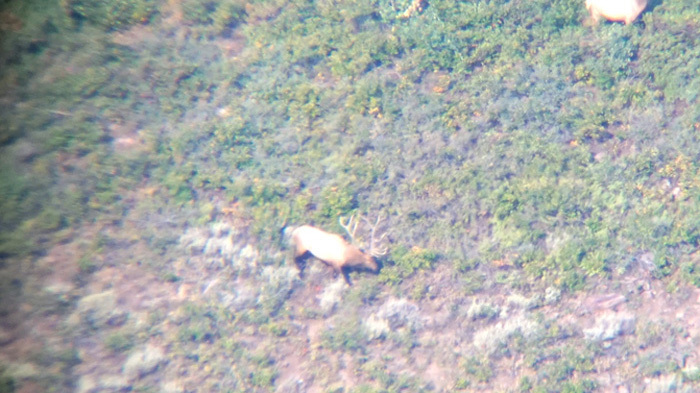 Jay Scott has also done a couple of podcasts on field judging elk that are very helpful. This is a skill that is honed over years of practice! For whitetail hunters, judging mule deer will come much easier than field judging elk. To start out, make sure you are aware of how mule deer are scored. Before going on the hunt, try to have a mental image of what each size range of mule deer looks like. This is best accomplished by looking at harvest pictures with posted scores. Be careful with this, as, like many fishermen, hunters may exaggerate scores slightly. 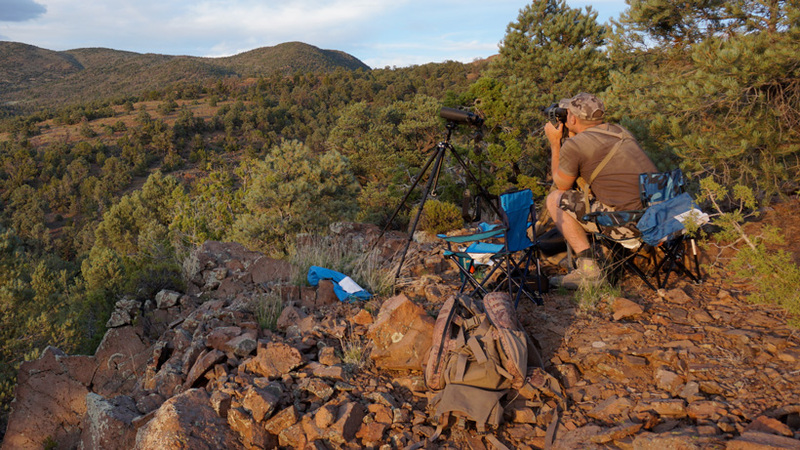 When it comes to field judging, try to enter your western hunts with a clear goal in mind. Adjust your goals based on the unit or area you are hunting and try to be realistic. For me, I always set my goals based on the principle that I want to pursue animals in the upper 10% of whatever is available in the unit. Glassing can be one the most important strategies for any hunt. Well before you upcoming hunt, you'll want to become very proficient with how to use your glass and your glassing techniques. More strategies on glassing can be found in the following articles: 8 ways to improve your glassing sessions and How glassing can increase your success. If you want some thoughts on what optics to carry, you can check out these articles: Why carrying multiple optics are essential and Are 12 power binoculars the ultimate glassing setup?. If you're hunting a season during the rut, you'll definitely want to practice well ahead of the season to learn the ins and out of calling strategies. Elk, for example, are extremely vocal animals. Learning the ins and outs of calling can help make your hunt more successful. In order to properly replicate elk sounds, I once again refer to resources on Jay Scott’s website. Special thanks to Jay Scott Outdoors. Another great resource to learn more about elk calling is the Elk Module available at Roe Hunting Resources and Corey Jacobson's University of Elk Hunting online course. For me, preparing for one big western hunt each year provides me with year-round activities. The preparation 30 days leading up to any hunt are critical. To be successful on the hunt, a combination of shooting skills, physical conditioning, glassing and field skills are required. For most hunters, preparation is really half the fun. A hunt may only last five to seven days and you want to be sure to make the most out of every opportunity. Whether you have a coveted draw tag or an over-the-counter tag in your pocket, take time to enjoy your early season hunts this fall. Good luck! I don't see anything out there that compares with Chris Roe and elk calling. He sure helped me understand what elk are saying.